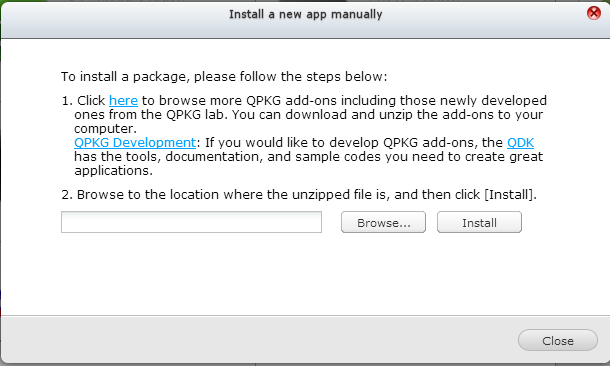 Asset is installed by loading the correct qpkg (QNAP install package), different QNAPs have different Processors, choose the correct one on the download page. Download the correct package file to your computer. Pressing Launch shows Assets configuration page. Important, if upgrading from trial to registered, restart the qnap after installation.